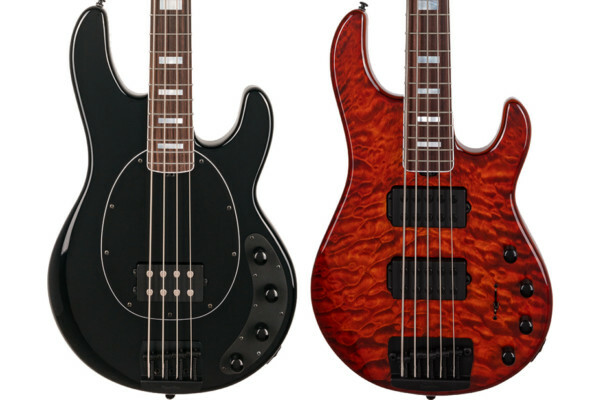 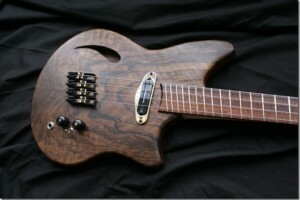 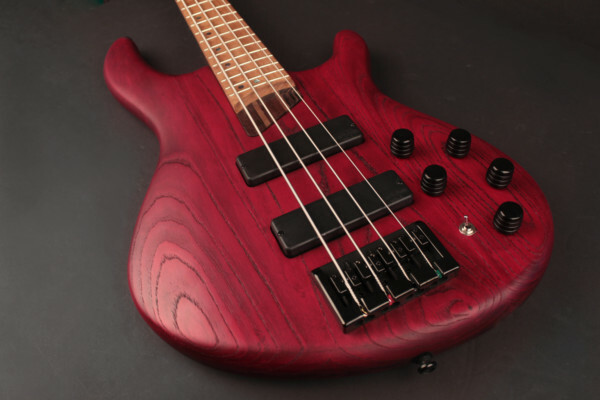 Last year we featured a gorgeous singlecut bass from AJR Guitarmods that wowed readers. 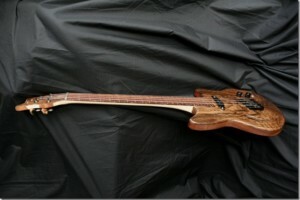 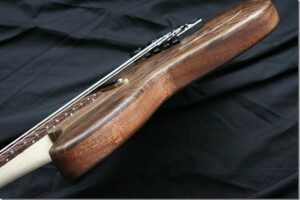 Now, builder Andy Rogers has finished a new instrument in a different direction: a semi-hollow piccolo bass. 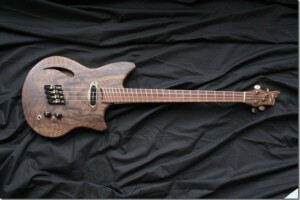 The elegant model was built for his band’s bassist, Pete. 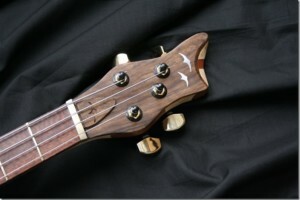 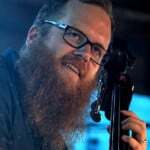 The bass features short multi-scale with at 26 inches for the E-string and 25 inches for the G-string. 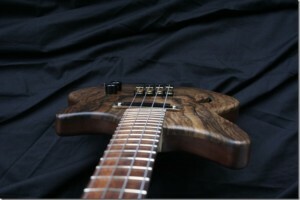 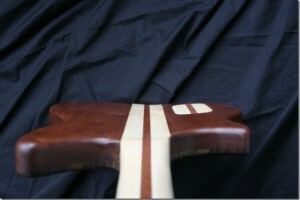 It’s built with a mahogany back, black walnut top, a three-piece maple/mahogany neck, and a snakewood fretboard. 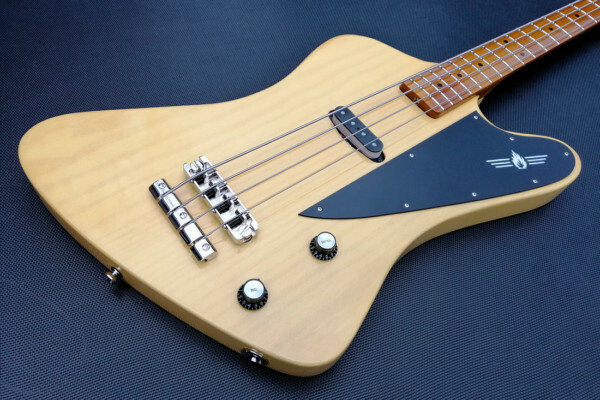 The pickups are a pair of Seymour Duncan Cool Rails that are wired ’58 style, which Rogers says gives full interaction between tone and volume. 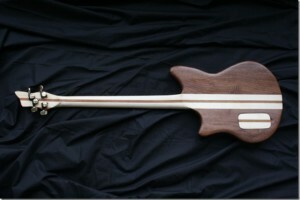 The whole bass weighs in at just 5 pounds and 14 ounces.